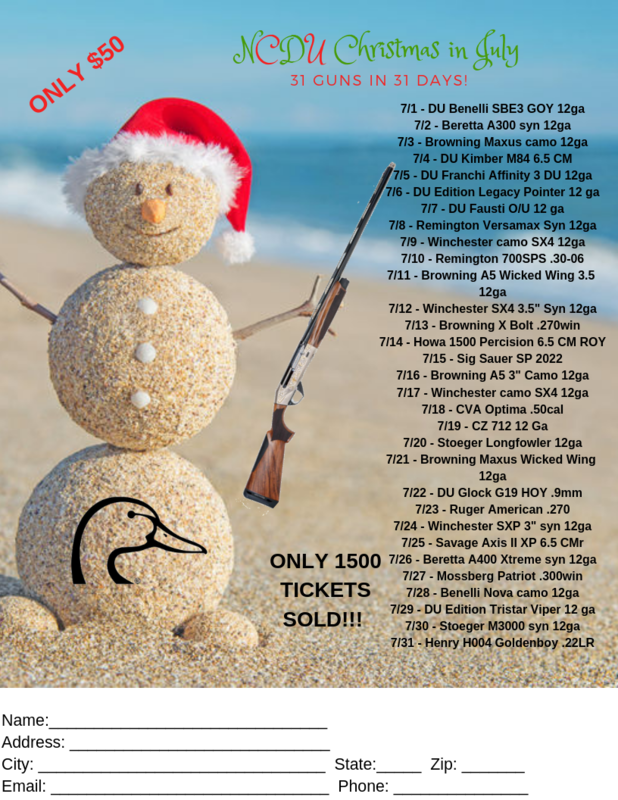 North Carolina Ducks Unlimited » Christmas in July is back! The NCDU Christmas in July state raffle is back! 31 guns in 31 days! There will be a gun raffled off every day in July with winning tickets entered back into the drawing. Only 1500 tickets will be sold so get your tickets now! Check here to get more details. Tickets can be purchased online or through your local chapter.